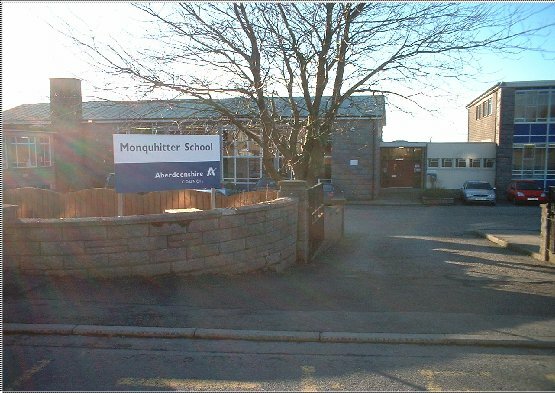 Bringing Technology to the pupils of Monquhitter Primary School so we can do our best to help the pupils to be their very best. 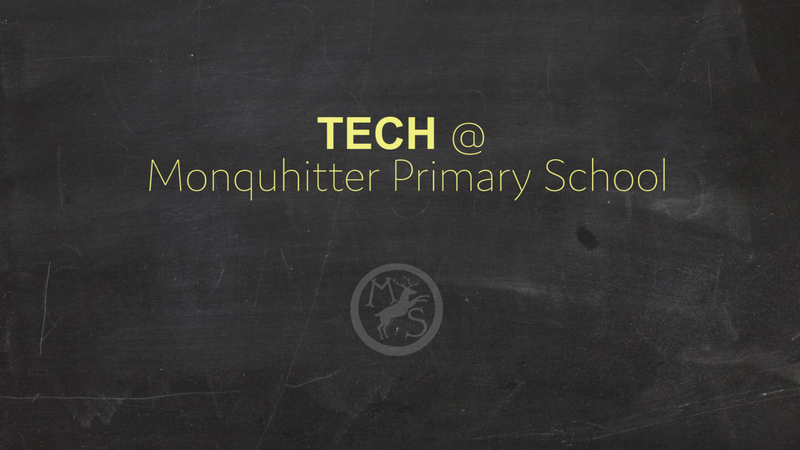 Monquhitter is looking to purchase 2 drones, several Virtual Reality headsets, Raspberry Pi kits and Ipod's to help encourage pupils to learn about technology and enhance their classroom experiences through the use of technology. We are a small, remote rural school in northern Aberdeenshire & all our pupils live in the local rural area. We are over 50 years old, but continue to serve our community well. It is 35 miles and an hour’s travel to the nearest STEM center, and by the time our pupils get there for out-of school clubs, the center is closing. Although a rural school we do not believe that should constrain our pupils. However we are worried that they may get left behind in the language of the future....Tech. Which is a vital part of the Science, Technology, Engineering & Maths blend otherwise known as STEM which is so critical for the future. To overcome this we are developing a plan that we call Tech @ MPS . With the help of some enthusiastic tech-savvy parents we have devised a plan to help improve teacher confidence to use tech in the classroom, enhance pupil experience in the classroom & encourage more children to be interested and curious about STEM topics & subjects. However to do this we need more tech kit than we currently have. Although we know we can teach computational thinking without the need for a computer, having some more technology can help with our ambitions. Below we explain more about our plans and if they are of interest to you please contact the Tech@MPS team to discuss how you can get involved. Even if you are not within easy travelling to MPS we can use modern web conference means to bring you to MPS if you have ideas to share. Please support us! We will take any of your unwanted & unloved tech....tablets, smart phones, laptops (3D Printers if you have one spare) to help with our tech ambitions & aspirations. We are sure to find a novel and interesting use for them. And of course we are seeking your £ donations (have you seen our unique rewards for our sponsors and supporters?) to help us with our tech wish list. There are so many fun projects we can develop and run with Raspberry Pi . As part of our coding club what looks complex and difficult for primary school children ( its not ) will become second nature. Making music , programming weather stations, making tee shirts that smile, our pupils will only be limited by their imagination (which as we have seen is pretty broad). We will work with Raspberry Pi Foundation to help some of our pupils through the Digital Maker curriculum from creator to mega makers! We have some BOLD plans to bring tech to the pupils of MPS so they can be the best they can be. Can you see our Wall of Achievement....it’s just waiting to have some Tech statements on it alongside the mix of highland dancing, football, cubs, brownies, bagpipes, gymnastics, karate, running....coder, creator, maker? We are developing ways to bring tech into the classroom to enhance their learning experience. 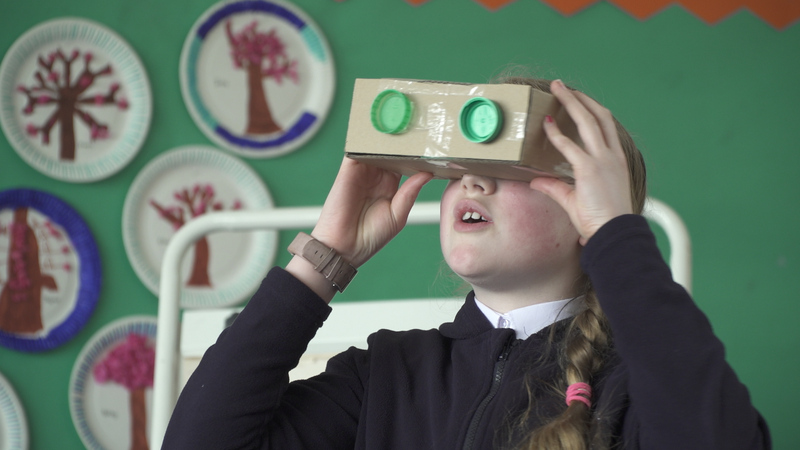 We relish the idea of working with VR platforms to enhance the classroom experience. Learning how our bodies work. Exploring the sea bed. Going on a safari. With VR we can bring anything, from anytime and anywhere to our pupils. Recently our P3 class studied the Romans. Imagine how much more memorable it could have been to visit the bathhouse, watch a chariot race or train as a centurion at Hadrian’s Wall? To actually see the Burj Khalifa in Cuminestown when studying architecture? We will purchase (one per class) Ipod Touch to use with Cardboard-style viewers as an initial trial of how to bring VR into our learning environment. If successful we will seek further support to help scale this across the school. We will purchase different brands and models in order to test and evaluate to inform future purchasing decisions. We are also planning out-of school activities such as a CodeClub & STEM Gang to encourage and support those who want to learn more. 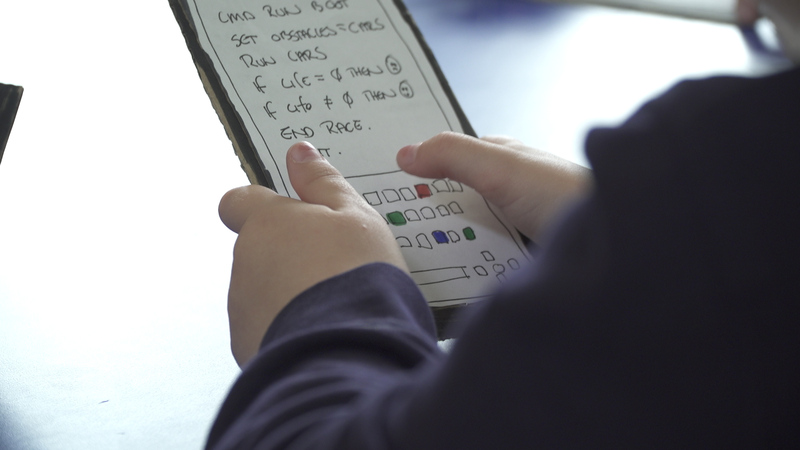 We believe that coding is a useful thinking discipline , a practical way of thinking and a language of the future. We don’t want our children to be left behind just because they live in the country. However we also don’t want our pupils to think coding is boring ( as unfortunately it is when it’s just a cardboard prop). Instead we have grand plans using the Scratch and Scratch Jnr platforms to make coding a fun pastime. These can run on the mobiles / tablets that the VR platform will run on and can be connected through to the Raspberry Pi to create all sorts of technological feats and marvels. We also plan to use the latest from Apple ... Swift Playgrounds . We are actively seeking parent volunteers to help run these activities and also widen their own experience and learning of tech & coding. No prior experience necessary, just a willingness to be curious and to help. (And you might learn something from our pupils as they will quickly become the best teachers of Tech in the community) Just contact the Tech @ MPS team and we will provide all the training you need to help out. Instead the latest British designed and made micordrone3.0 has all the functionality we need at an affordable price. Can you see the camera? Did you know that it streams so you can see what the drone is seeing, in real time ( In fact you can stream it in Virtual Reality) or archive it for later playback. We have yet to develop all the possible uses for a drone in a learning environment ( although here i s a good primer) . One idea that has been explored is the possibility of filming and streaming sports day so that absent parents ( some offshore, some overseas, some working) can experience the thrills. 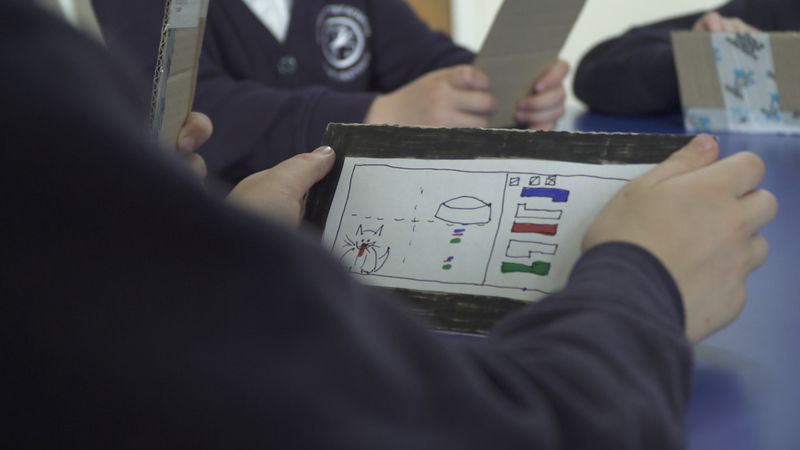 We plan to initially train a few drone pilots (we have an offer of help from an ex-RAF drone instructor) and they can help teachers to develop classroom applications. In turn they will then train the next cadre of drone pilots. 1. An ever increasing number of pupils (girls & boys, all ages and abilities) who are intrigued and curious to pursue STEM based subjects including coding. 3. Pupils (and teachers) become more aware of the language and concepts of STEM, Tech & Coding. 4. Pupils (and teachers) encouraged to develop their own STEM, Tech& /or Coding projects & resources. 5. Teachers become more confident in the application of technology within the classroom to enhance the learning experience. Thanks so much for reading this far, hope you like our plan and it would be great if you could share and support! The supporter will receive an email Thank You from the Tech @ MPS team. The supporter will receive an email Thank You and a credit on the Tech @MPS supporters site. The supporter will receive an email Thank You, a credit on the Tech @ MPS Supporters site and a digital gift from the pupils. The supporter will receive an email Thank You, a credit on the Tech @ MPS Supporters site , a digital gift and a digital surprise during the next 12 months.